The company’s “Mega Dens” television series launched in 2011 on the DIY Network and features host and interior designer Anitra Mecadon. She is backed by home renovators Joey and Michael Scialabba who revitalize dens, dungeons, attics, and art rooms into stylish spaces where everybody in the family wants to congregate. The series periodically partners with other metro-Atlanta media businesses; on one occasion, the crew of “Mega Dens” partnered with the Atlanta Braves in order to “create the ultimate Atlanta Braves rec-room for one lucky baseball fan.” “Mega Dens” is co-produced by Crazy Legs Productions, LLC, as Crazy Window Productions, LLC, and is currently in production for its fifth season. In addition to “Mega Dens,” Picture Window Productions has also produced two unscripted online series, which also center on home improvement content. “World-Class Woodworking” is an 11-part online woodworking series produced for the DIY Network that spotlighted new tools and woodworking techniques from the International Woodworking Fair. And a 10-part online compendium to “Ground Breakers” that follows the show’s host, Justin Cave, sharing landscaping expertise and step-by-step tips to entertain, inform, and inspire viewers in their own landscaping. Picture Window Productions’ series “Mega Dens” currently airs on the DIY Network, owned by the Scripps family of networks, which has existed since 2008 and owns other networks such as HGTV and The Food Network. The Scripps family of networks typically attracts a very affluent, engaged audience who own homes and travel. HGTV and DIY Networks draw advertisers with audiences that it believes are looking for information on products to help improve their home. General Manager of HGTV and DIY Network Kathleen Finch explains to Cynopsis, “[w]eekends are when people naturally think about their homes and how they live. They entertain on weekends, do yard work, tackle projects, and increasingly they sit in front of a Yard Crashers marathon on DIY or a two-hour stack of Hawaii Life on HGTV.” According to Nielsen, this audience is the most upscale, ad receptive, credit-worthy audience with the highest levels of discretionary spending and willingness to try consumer products. It is of no surprise then that ad revenues for these networks have been on the rise, which points to an even greater importance for “Mega Dens” and the other shows featured on HGTV, DIY, etc. to be able to reach their desired audience. 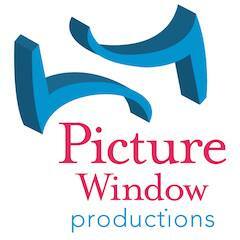 Furthermore, Picture Window Productions seeks on-screen talent who fit Scripps’ desire for character-driven content. For the past several years, Scripps has been airing character-driven content, reflecting a broader industry-held value that reality television is character-driven. Though PWP can organically uphold its own commitment for unscripted content authenticity in the process of hiring talent, it can also produce negotiated outcomes in how it selects its cast in the Atlanta metropolitan region. In “Mega-Dens’” casting calls, Picture Window Productions’ looks for families with children who would be “fun and dynamic on camera.” Recurring characters are even more narrowly cast. In selecting the host of “Mega Dens,” a reality television host needs not only to have a likeable personality but also to be able to connect with the audience. The most successful hosts serve as a bridge between the show, its talent, and the audience, and will work just as hard as the rest of the cast and crew. “Mega Dens” host Anitra Macedon demonstrated her own character to unscripted television producers in an audition for an Animal Planet series about dogs. Picture Window Productions may not necessarily be “faking reality,” but it does carefully select the human elements of the show: the show’s host, her fellow contractors, and the families featured in each episode. Scripps Network Interactive has been a large part of the television merger-and-acquisitions discussion for a while now, with the possibility of a merger coming up every year. Recent talk was focused around Discovery Communication having a potential bid but talks amongst both parties dissolved. The fact that negotiations have ended does not necessarily mean that Scripps will not eventually find a buyer. As part of a conglomerate with a different portfolio of assets, Scripps may see fit to change the direction of the show to fit the new owner’s brand. In late 2013, Scripps began offering its family of networks for over-the-top viewing via out-of-home streaming in partnership with DirecTV, Comcast, and Time Warner Cable. This expanded access includes Time Warner Cable’s TV Everywhere app for iOS and Android devices and its TWCTV.com web video hub, as well as Verizon Communication’s FiOS Mobile app. These new package deals offer audiences increased accessibility across multiple platforms (mobile phones, tablets, etc. ), offering viewers new ways to engage with PWP’s shows that are more in line with distribution patterns emerging elsewhere in the industry. Over-the-top television currently lacks a clear, industry-wide revenue model, particularly with regards to advertising; however, in the mean time, Scripps is still seeing growth in its digital businesses primarily from advertising. Furthermore, with broader growth in its networks’ ad sales and affiliate fees, the company has signaled it will increase investment in programming expenses, opening up the possibility for increased investment at Picture Window Productions. Company Profile Contributor: Liza-Anne Cabral, Georgia State University, 2015.